The Nepal Tourism Board has appointed Goodwill Ambassadors to promote Nepali tourism in countries around the world. Bhagawati Basnet is representing Nepal as a Goodwill Ambassador in Israel. 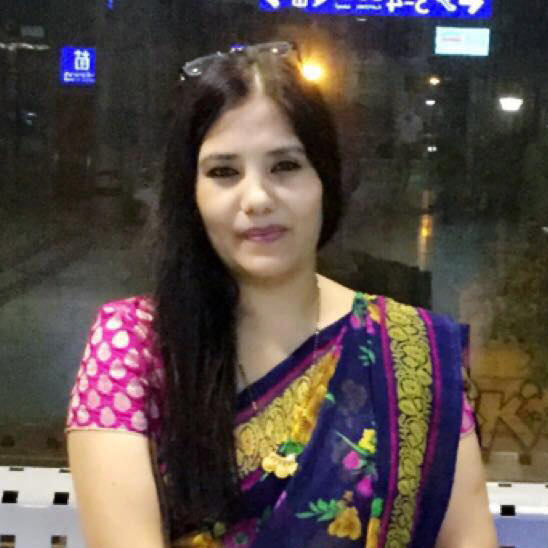 She is also Vice-President for International Nepalese Artist Society, through which she joins efforts to promote Nepali tourism in Israel. We spoke with Ms. Basnet about her role as a Goodwill Ambassador and her current projects. Q:What types of responsibilities do you need to perform when you represent as the Goodwill Ambassador of Nepal Tourism Board in Israel? Bhagawati: Nepal is not only popular for its natural beauty but it’s also known for its ancient art, verities of temples, different cultures and many more! Nepalese art-culture is the identity of Nepali people. It is always going to endeavor to keep it coming from your place to identify it before the world. It is my responsibility to popularize or to inform people about Nepal and its best tourist attractions in foreign lands, for example, Israel at the moment! To accomplish this task, I have been promoting Nepalese language, art, culture in different places of Israel since last 11 years. Q: Being the Vice President of International Nepalese Artist Society, in which projects have you been involved in to promote Nepalese Artists? Bhagawati: International Nepalese Artist Society (INAS) is an international organization for all Nepalese Artists and Litterateurs who live in all over the World, established on 26 August, 2012 to promote Nepali Culture, Literature and Films in all over the World. INAS is also renowned for its work for the welfare of Nepali Artists around the globe, is officially registered in the Netherlands. It already has fifty-eight branches along with national and state committees. We have organized various kinds of competitions for the purpose of extraction of Nepalese talent, which is spreading for the Nepali art and literature. On April 22, 2018, INAS has been the European level sixth solo dance and third single singing competition in London. Q:What are the challenges that come around while representing your country on an International platform? Bhagawati: The biggest problem is in communication. Israelis often do not understand English. Even if I speak in Hebrew, it is hard for the Israelis to understand it completely. Now the Nepali emperor of Israel built Hebrews' tourism territories in Hebrew too! That makes it easy to propagate to some extent. Another problem is that there is no direct flight from Israel to go to Nepal. Q: Tell us about your experience to empower and encourage Nepali youth to follow your footsteps in making Nepal a better nation by promoting Nepal as a Goodwill Ambassador? Bhagawati: Every Nepali in foreign employment has hidden the love of motherland and the birthplace in the intersection. One does not have the potential to become a nation's development or tourism promotion. In Nepal, foreigners who have foreign employment in their country, language, culture, and natural heritage should be informed about the people of that country. Development does not happen in the same generation. We can start it, the next generation can continue it. If we are unable to settle the foundation, we cannot say that future generations will not face the current situation. Q:What is the perspective of people of Israel regarding Nepal? What can be done to convince them to visit Nepal? Bhagawati: I have seen a very positive attitude of Israeli people towards Nepal. The relation that the B. P. Koirala has established is still the most prosperous. There are workers from many different countries in Israel, but I see that the Israeli people like the Nepalese workers very much. The Israelites are nature-loving, they love to travel. Often, Israel's youth go to different countries after their military training. We inform them that Nepal is a place for adventure. Every mountain climber around the globe wants to experience Nepal once in his or her life. As there is a very suitable weather, Nepal is certainly one of the best locations in the world for trekkers, hiking lovers and mountain climbers. Q: What are your further agenda and plans to promote Nepal in Israel? Bhagawati: As I mentioned above, Nepalese art culture is the identity of Nepali people. We should keep on striving from our place to identify Nepalese art culture in front of the world. The biggest preaching is words to mouth. Future plans will be a great exhibition on cultural tourism, along with the Nepali Emperor of Israel, the whole Israel-based organization. Keeping trains obtained from the Nepal Tourism Board in Israel's Travel Agency. We are also planning to make a short movie about tourism to attract more people towards Nepal.